Hizb ut-Tahrir Wilayah of Pakistan hand delivered a strong statement of condemnation from Hizb ut-Tahrir's Central Media of Hizb ut-Tahrir to the Bangladeshi regime through its High Commission in Islamabad, Pakistan's capital. This press release was delivered in Arabic, Bengali, Urdu and in English languages. On Sunday, 30th August 2015, the shameless Detective Branch (DB) of the Bengali regime arrested two women. During the remand period, these pure Muslim women were beaten severely. One of the sisters was beaten to the point that she bled from different parts of her body and became unconscious. Instead of giving relief to these sisters from this brutality, on Friday 4th September, the judge acted as an arm of the regime's oppression rather than a champion of justice and mercilessly sent them to jail. In this press release it further said, “O Hasina! If you think that imprisoning the dawah carriers of Islam will extend your oppressive secular rule, you are deluded! 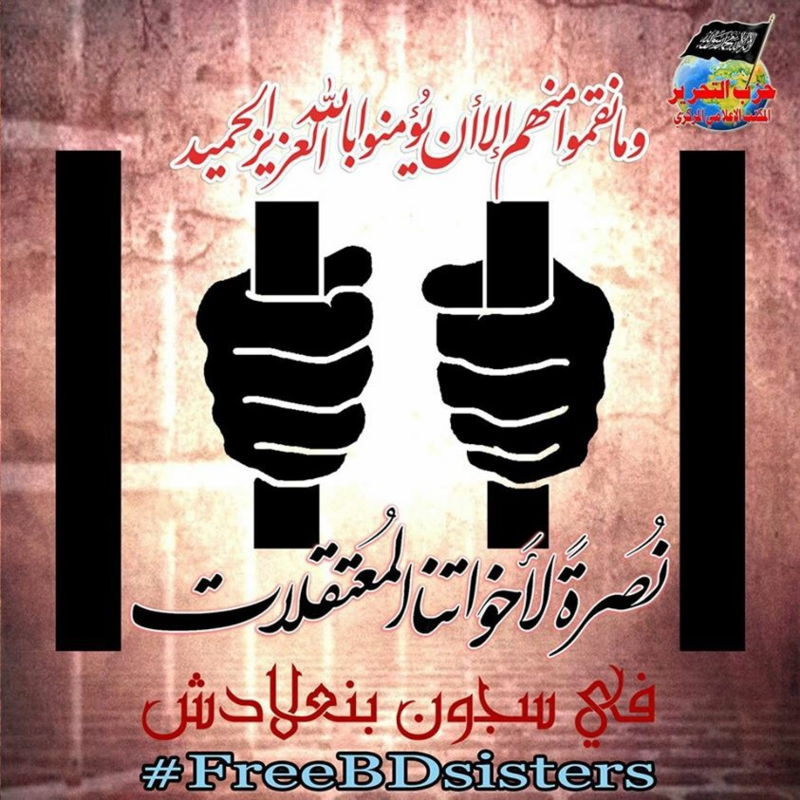 Your downfall Bi’ithnillah is inevitable and imminent….Do you think that detaining these devout Muslimahs will instill fear in the hearts of the female dawah carriers of Hizb ut Tahrir and deter us from struggling to achieve our noble goal? No! Rather, it invigorates our determination to see the decline of dictators such as you and the birth of a state that will be a guardian to our needs and to our Deen”. اس پریس ریلیز میں یہ مطالبہ کیا گیا ہے کہ" ہم مطالبہ کرتے ہیں ہماری ان بہنوں سمیت ان تمام معصوم مسلمانوں کو فوراً رہا کرو جنہیں تم نے اپنے زندانوں میں قید کر رکھا ہے۔ اور ہم مخلص مومنوں پر ظلم ڈھانے کی جرات کرنے والے سب مجرموں سے یہ کہتے ہیں کہ خبردار ہو جاؤ، تمہارے اقتدار کا خاتمہ تیزی سے قریب آرہا ہے!!!" "بے شک جو لوگ الله اورا سکے رسول کی مخالفت کرتے ہیں یہی لوگ ذلیلوں میں ہیں، الله نے لکھ دیا ہے کہ میں اور میرے رسولؐ ہی غالب رہیں گے بے شک الله زور آور زبردست ہے"